A beautiful scenery awaited us here. 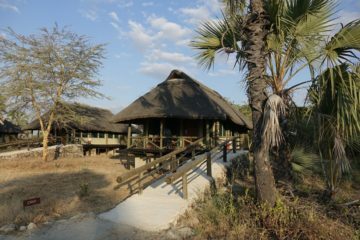 We could have not dreamt about a better stay for our last two days in Tanzania! It felt like we arrived into another world. 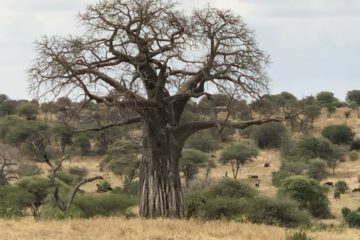 A giant baobab tree greeted us by the entrance into the national park, and the promise of elephants, many species of birds, and many more iconic baobabs made us quite excited for our two-day visit ahead. 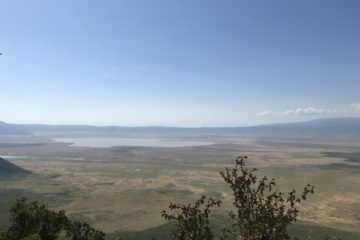 Written by my husband, Steve: Ever since I was a little boy, I have been entranced by the word “Ngorongoro.” It represented the exotic, the romantic, and the exciting unknown. I may have first encountered it in the old Time Life book series on countries or regions of the world. 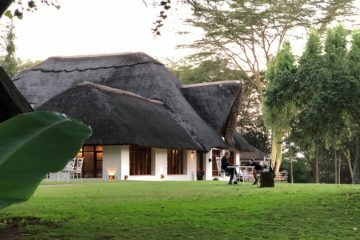 A peaceful and relaxing place on a coffee plantation accommodated us for two nights in Tanzania. 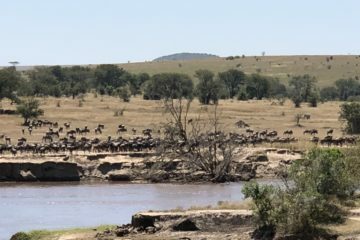 Just a short drive from the spectacular Ngorongoro Crater. 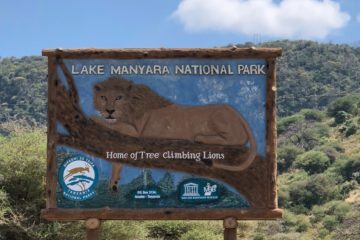 „The lovliest I have seen in Africa,” Ernest Hemingway once said about Lake Manyara National Park, which is most famous for its tree-climbing lions. It’s a small park, lesser known, often overlooked, but exciting. No doubt, it is one of the natural wonders of the world. 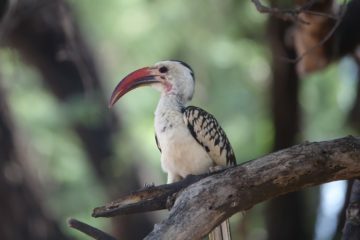 Steve, a wildlife biologist by training, wanted to witness this his entire life. I happily agreed to share the experience.